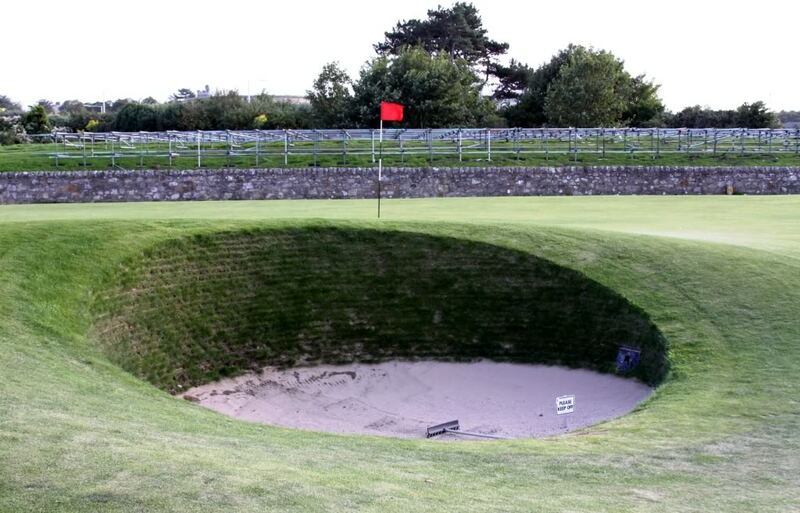 If you’re a golfer, you don’t need to be told what hole this is. I’ve known what I wanted to do with my career ever since I was a sophomore in high school. I wanted to be a sportswriter. That dream was realized shortly thereafter when I started writing for the sports section of the local daily back in Iowa. It manifested itself more fully after I enrolled at Iowa State University. I soon found myself covering college football and basketball and even the NCAA Tournament, making me realizing how attainable my sports writing dreams really were. The fodder for those dreams was something that arrived in the mailbox of our farmhouse in rural Iowa every week: Sports Illustrated. Without him knowing it at the time, my dad’s subscription was delivering sports writing textbooks to our door, and I was going to school. I read every issue cover to cover, even when the sport/topic (tennis, curling, fencing, etc.) didn’t interest me. I wanted to learn every literary trick and secret possible from those pages and was willing to search every paragraph and sentence to find it. My thirst for SI continued into college, where I had my own subscription. I continued to pour over every piece and dream of the day my sports writing copy might match those pages. Where golf comes into this story is a piece Rick Reilly wrote about attempting to par the infamous Road Hole at St. Andrews in advance of the British Open. I know I’d read golf pieces prior, but this the only one I can recall. The important thing is that it probably ranks among the 10 most influential pieces I’ve ever read. At the time, I only dabbled in actually playing the game and would watch the majors on TV. Golf didn’t bat nearly as high in the sports order for me as it does now. Reilly’s piece made me realize, however, how fun writing about golf could be. The gist of the story, which was published in July of 1995, was Reilly making a bet with a friend that he could par the Road Hole, widely regarded as the world’s toughest par 4. 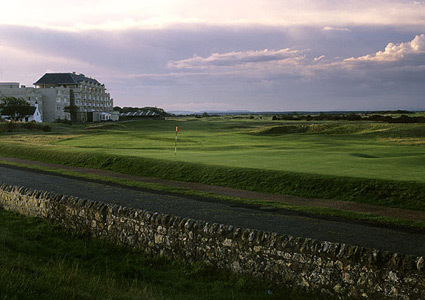 So Reilly booked a room at the Old Course Hotel and set out to do it, although noting he hadn’t made one single tee time. What followed was Reilly flailing and failing, making all the classic strategic errors players have historically made at No. 17. After each failed attempt, Reilly would retreat to a local pub in search of a sage local caddie, Tip Anderson, who knew the secret to parring the Road Hole. He had caddie for major champions – Tom Watson, I believe – and was thereby the de factor Yoda of the Old Course. That’s probably not 100 percent, but it’s close: Basically don’t attack it and end up on the road or in the feared Road Hole bunker. Anywhere, here’s where the story really gets my sportswriter goose bumps going. To play the hole the final time, Reilly sneaks on the course and claims to make par – using Tip’s advice – just before security escorts him off the course. I rediscovered the Reilly’s piece years ago in SI’s online archives – to quote “American Pie”: “God bless the Internet.” – and had revisited it often, especially since my own move into the golf writing arena basically a year ago after relocating to California. I’d been looking forward to writing this post since I started the blog and was waiting for the British, but Reilly’s recently announced retirement from sports writing (he was at ESPN) gives this another point of relevance. For those who of you who didn’t grow up to do what I do (have done), Reilly’s retirement probably means little to you, but for me it matters just as much as an athlete like Michael Jordan or Walter Payton calling it a career. Those who recall reading Reilly at SI probably remember his columns, which followed his days as a long-form writer. Those days are when Reilly really shined and expanded what was possible. He and Gary Smith writing bonus pieces (the long take-outs at the back of the magazine) were like having a features line-up of Jose Canseco and Mark McGwire. One of them, or both, took it over the wall every issue. When Reilly was limited to columns, it was like telling Michael Jordan to only be a jump shooter. Still effective and creative in that role, but not as breath-taking as before. Anyway, Reilly’s Road Hole piece was fun, funny, insightful and brilliantly told. For those who grew up on George Plimpton, this was Reilly doing his own “Paper Lion,” although tryying to a par a hole on a PGA course and trying to play QB for the Lions are two totally different animals of participatory journalism. Reilly’s piece seemed a little Plimpton, a little Hunter S. Thompson, a little modern-day David Feherty and possibly a little Anthony Bourdain at present. Come to think of it, Reilly’s piece was probably the first travel story that really stuck with me as well. I guess more than anything, the story showed me how far you really can go with sports writing and what a golden ticket being able to tell a story really can be. I’ve had my own Reilly-at-St.-Andrews moments in my career, although I’m still waiting for that moment in golf. I’ve got a few opportunities coming up, however. Anyway, hopefully you can read the piece and, if you care, glean a little insight into why I like to do what I do and where I’d like to see it go. I hope to understand that statement even more fully in the future. The closest I’ve come is playing a replica of the Road Hole at Royal Links in Las Vegas. For the record, I parred it, carving a draw around the sign welcoming you to the course right into the fairway. Just as St. Andrews is a bucket-list course for every golfer alive, Reilly’s piece is a bucket-list read for me. So obviously if you enjoy reading about the game as much as you do playing it, it’s worth your while to track it down. If the SI Vault works out its glitch, I’ll repost the story on the blog in full. Thanks for reading and for all the support. I’ve enjoyed, and appreciated, every word of it. It’s a joy and privilege to be able to do what you love to do. 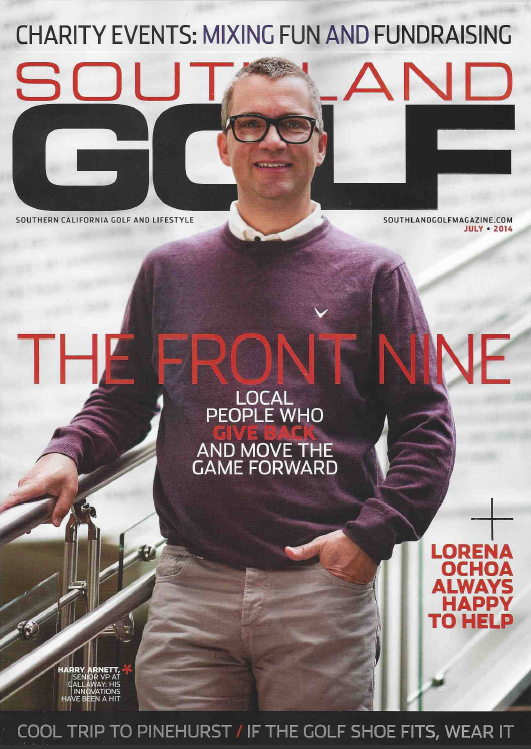 This is the latest cover of Southland Golf, which scored me my first cover story out here, a feature on Callaway Golf Marketing VP Harry Arnett. I’ll get the articles and links posted at the end of the week when the digital issue will hopefully be available. 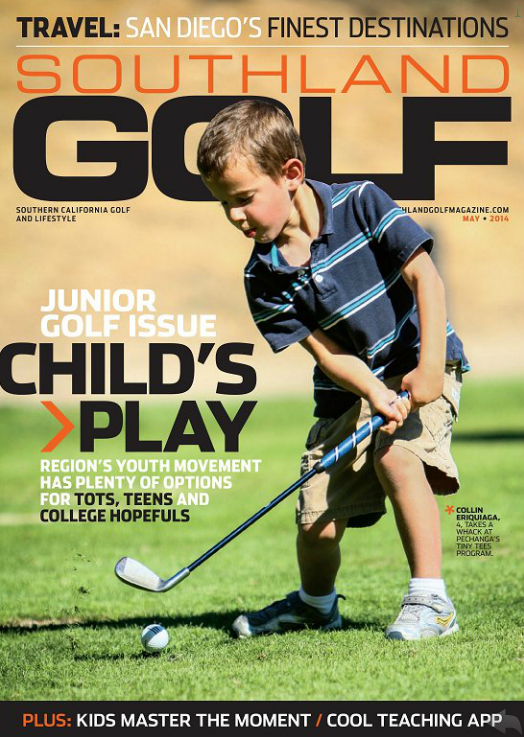 I started writing for Southland Golf a year ago and this was favorite issue yet for several reasons. I got to work with two of my former mentors at the Golf Academy (Senior Instructor Mike Flanagan and Mark Hayden, now the GM at Eagle Crest) and make two new connections (Harry and Susan Roll of the Carlsbad Golf Center) I’d been wanting to make for a while. Hope you enjoy the issue. 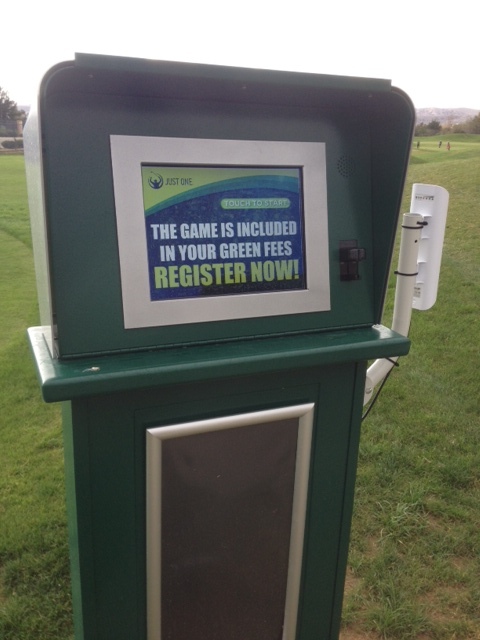 Update: Arrowood recorded its first hole-in-one on Just One on Jan. 6, earning the winner $2,000.